If you have any questions about the MIRABILIS information page below please contact us. 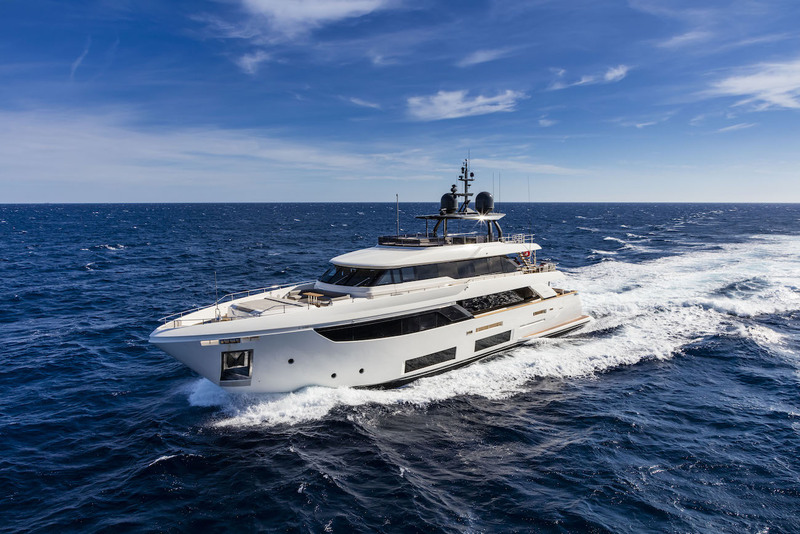 Measuring 33m (108’3’’) motor yacht MIRABILIS was built by the Custom Line shipyard in Italy, Ancona as part of the Navetta 33 series. The yacht boasts the yard's in-house naval architecture and was designed by Zuccon International Project, both interior and exterior wise. Accommodation is offered in 5 cabins for up to 10 guests. MIRABILIS was constructed with spacious accommodation and guest areas in mind. Spreading three full decks, she has striking exterior lines with some aggressive features. Multiple areas for socialising and relaxation are present onboard with the entire ambience being bright and inviting, boasting a lovely collection of art-work. Accommodation is provided for up to 10 guests in five large staterooms. We do have available further amenity, owner and price information for the 33m (108'3'') yacht MIRABILIS, so please enquire for more information. The luxury yacht MIRABILIS displayed on this page is merely informational and she is not necessarily available for yacht charter or for sale, nor is she represented or marketed in anyway by CharterWorld. This web page and the superyacht information contained herein is not contractual. All yacht specifications and informations are displayed in good faith but CharterWorld does not warrant or assume any legal liability or responsibility for the current accuracy, completeness, validity, or usefulness of any superyacht information and/or images displayed. All boat information is subject to change without prior notice and may not be current. 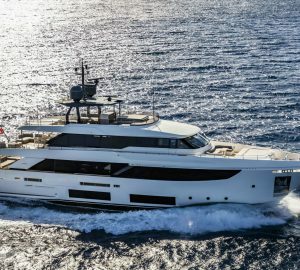 Ferretti (Custom Line) has always had, as part of its DNA, a vocation for research, innovation and a perfect combination of the latter with design. The exterior lines that make Custom Line so unique are the result of the longstanding partnership between Studio Zuccon International Project, Francesco Paszkowski Design and the Ferretti Group.